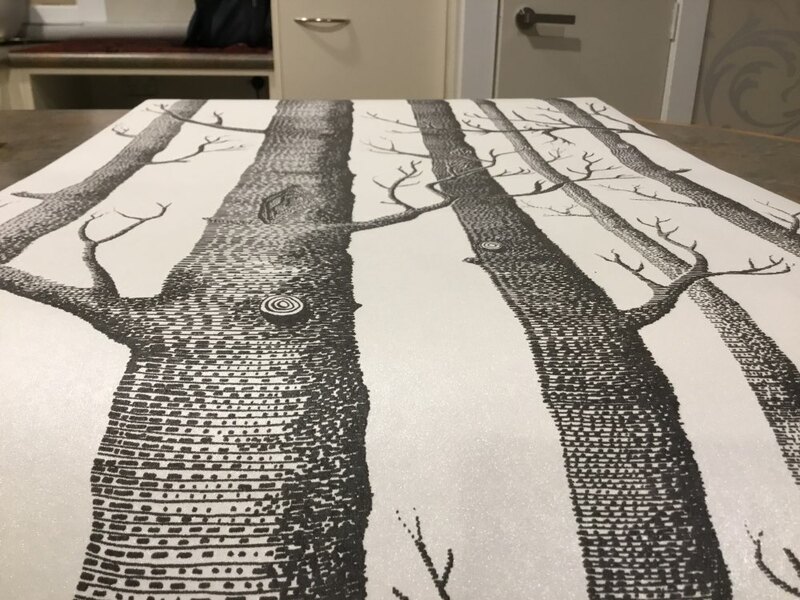 Specified in one of our recent 3D interior designs for a 13 year old boy’s bedroom, this earthy Shakin Stevens ‘Woods’ Birch Tree Wallpaper adds a strong focal point to any room juxtaposed with a softness that makes it suitable for any age or style. Inspired by Michael Clark’s original design of this now iconic wallpaper pattern, in 1959 we now supply this in a classic black and white. Originally designed as a screen print, the ‘Woods’ wallpaper pattern features bold sketches of trees making a unique forest repeat. The colours of the wallpaper blend effortlessly with primary and complementary colours and textures and finishes with our design, teaming this delightful wallpaper with white oak panels and shades of soft grey, such is its’ versatility. 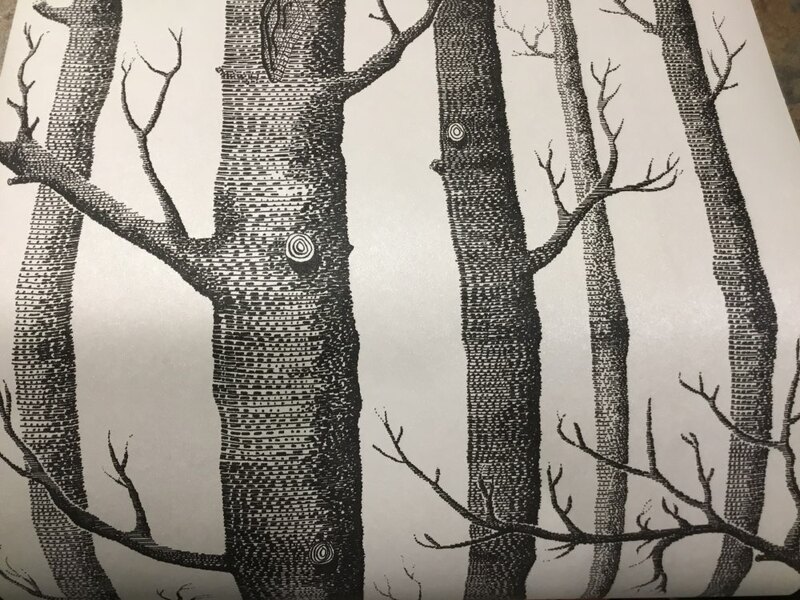 Customer feedback received for our Shakin Stevens ‘Woods’ Birch Tree Wallpaper confirms the high quality and finish of the wallpaper, supplied in a 0.53m x 10m roll. Not sure how it could look on your wall? Don’t forget about our Wall Mock Up service – you can use it for wallpaper as well as wall art! looks like.picture. yet to hang. Delivery in 3 days!!! Great product!!! Very pretty wallpaper. Fast shipping. Recommend!